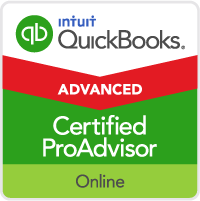 I wanted to share several special offers, free webinars and other new resources for CPAs, Accountants, Bookkeepers, QuickBooks ProAdvisors and QuickBooks users. 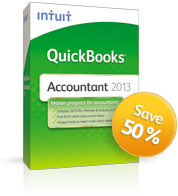 QuickBooks Accountant 2013 has the following unique features and tools to help accounting professionals be more efficient and productive. Email Journal Entries — New in 2013 email JEs for clients to import into their QuickBooks Pro/Premier 2013 file. Batch Enter Transactions — copy and paste from Excel or batch enter checks, deposits or credit card charges. Period Copy – This option (within Condense Data feature) preserves transactions in the condensed file only for a particular period, with entries prior to that period to be summarized and entries after that period to be removed. Read more here. Multi-Instance – Work in two different QuickBooks files at the same time. Accountant Center – A customizable window with accountant’s tools, memorized reports and reconciliation widgets (showing the last reconciled date and balance) and more. QuickBooks Statement Writer — Create financial statements and reports with a live link to the QuickBooks data file. Customize a template once and reuse it in the future or with other QuickBooks files. QuickBooks Statement Writer is now included and requires Microsoft Word and Excel. 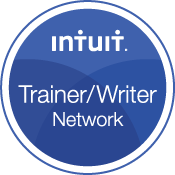 Here’s a free webinar I recorded for Intuit Academy to learn how to use QuickBooks Statement Writer. Accountant’s Copy — Work with an Accountant’s Copy from your client and export changes for them to import into their file. 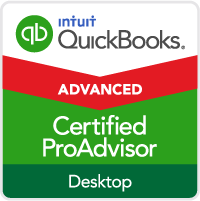 This allows the client to keep working in their QuickBooks file. There is one year of backwards compatibility with an Accountant’s Copy. File Manager — Open and manage QuickBooks files quickly and easily. Also, batch upgrade files and store passwords in the password vault. Toggle – Toggle into QuickBooks Pro, Contractor, Non-Profit, Retail, Manufacturing & Wholesale, Professional Services and Premier as needed). Working Trial Balance — Tied to the QuickBooks data so changes or adjustments are updated automatically. Great at year end and includes a field to enter workpaper references. Fixed Asset Manager — Maintain details for fixed assets, calculate deprecation and post the entries to QuickBooks. Adjusting Journal Entries / Reversing Journal Entries (plus totals on the journal entry window) — Using Adjusting journal entries show in the adjustments column of the working trial balance and differentiates your entries from other general journal entries. Plus, click reverse to enter a reversing journal entry. Sample Data Files for Industries — Jo Ellen Peters of Top Notch Bookkeeping states “What I really like are all the different sample files that are available….the Accountant Edition has several: product, service based, non-profit, contractor, manufacturing, wholesale/distributing, consulting, engineering or architecture, graphic design or advertising, law firm and retail.” QuickBooks Pro includes the sample product and service based business files only. Increasing numbers of small businesses are choosing to use QuickBooks Online so accounting professionals should be familiar with it to support them. 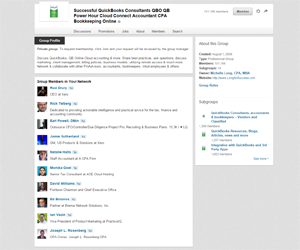 Join me for an intro and overview of QB Online and QBO Accountant. I’ll share some navigation tips and tools for accounting professionals too. You’ll see how easy it is to use QB Online and collaborate and support your clients with the data in the cloud. Seats are limited for the live event. 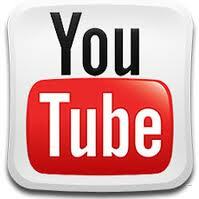 It will be recorded so you can watch it later. If you can’t attend live, go ahead and register so you’ll get the email with the link to watch the recording (you will not prevent or take someone’s seat to attend the live webinar). This free webinar will save you hours of time and help improve your profitability! 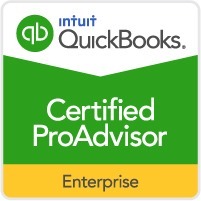 Get more experience and confidence using QuickBooks with this realistic practice set. You will set up a new company and enter transactions for three months of activity. Transactions entered include: invoices, sales receipts, receive payments, deposits, enter and pay bills, checks, credit card charges, sales tax payments, purchase orders, inventory adjustments and credit memos. You will reconcile the bank and credit card accounts and create reports to check your progress. 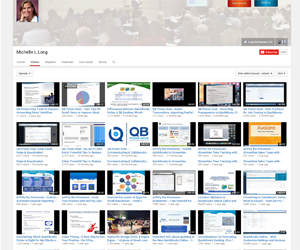 Subscribe to keep updated on more free webinars, resources, tips and more! Accounting service is very competitive and complicated process. you have provided here information about all deeply aspects of accounting. This information is very useful for especially new accountants. They can get efficiency in accounting profession by following this information. On the webinar, We’ll show you how quick and easy it is to conduct deep financial and sales analytics for QuickBooks with BizTools Analytics – this will be a 90 min live deep dive demo. Michelle will be interviewing Darren Scotti about success with his clients, value billing, building client loyalty and more. You will learn step by step how you can Grow Your Practice by Helping Clients Achieve Better Results.